Next to heating, cooling and refrigeration, your water heater comes in third place in terms of energy use and costs. As a general rule, you should take an "if it ain't broke, don't fix it" approach in selecting a tall or short water heater. For example, if your home has a tall water heater and you need a new one -- select a new tall water heater. The same goes for a short water heater. Additional factors include the distance from connecting pipes and the ceiling height of the room where the water heater will be installed. Height does not diminish the unit's ability to produce hot water. Tall water heaters installed in homes range in height from 46 to about 60 inches. They have cylinder shapes that range in diameter from 18 to around 21 inches, and typically store anywhere from 30 to 100 gallons of water. The nickname for tall water heaters is "tall boy." They are typically installed in homes that have a basement or garage where the height of the unit can easily be accommodated. In addition to the height, the space must also accommodate the height needed to connect a pipe on top of the tallboy water heater unit to the plumbing system of the home, which can be around 40 inches. However, the connecting pipe can be adjusted and configured to slant diagonally to fit in with the ceiling height of the room. Short water heaters installed in homes range in height from 30 to 49 inches. They have wide and round tanks that range in diameter from 20 to 26 inches. The nickname for short water heaters is "low boy." They often installed in homes that have a crawlspace instead of a basement or inside of a closet inside the home or the garage or attic. The connecting pipe height to accommodate a low boy is typically between 29 and 32 inches. Most short water heaters used for "whole home" water heating store anywhere from 30 to 50 gallons of water. However, there are short water heaters that store as little as 10 gallons of water. Most short and tall water heaters are conventional storage tank water heaters that contain water inside of the tank. They can be installed inside the interior spaces of a home or in auxiliary areas such as a garage, basement, crawlspace or attic. The ideal location for either a tall boy or low boy water heater is one that is closest to the plumbing system. Short and tall water heaters work with natural gas, propane or electricity and can also store water for solar water heating systems or work with a heat pump system that works in conjunction with the heating and cooling system for a home. While the plumbing height can be adjusted for either a short or tall water heater, it is a best practice to install the pipes vertically for faster delivery of hot water through the plumbing system and into the faucets of rooms. The major differences are height, gallon capacity and required height for plumbing connections. 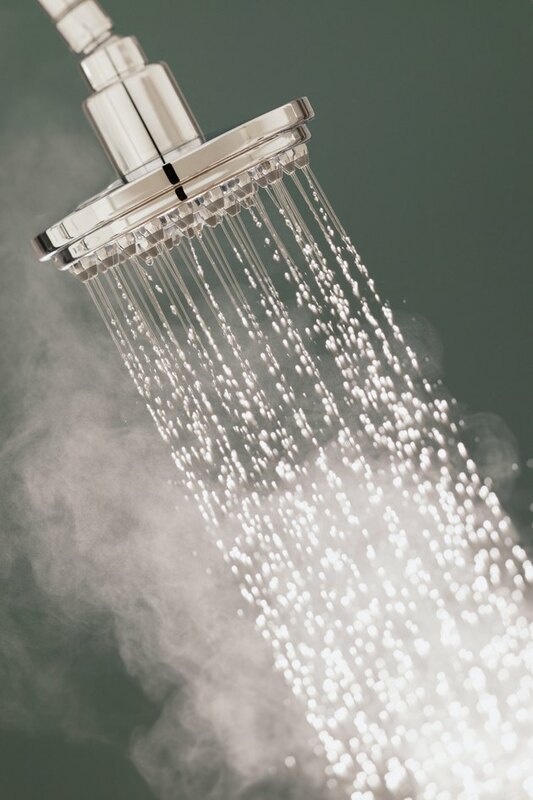 Tall water heaters range are about 16 inches taller, can hold up to 50 more gallons of water and require 10 inches more height for plumbing connections. Other than that, there is no distinguishable difference in performance.